Confession: I own nail polish that is over five years old. My mascara has hung around for almost two years. And my favorite perfume? From my eighth grade farewell dance. No, I’m not a hoarder. I just think if things cost a lot of money and they’re still half full, why throw them out? It’s not like they have an expiration date, right? 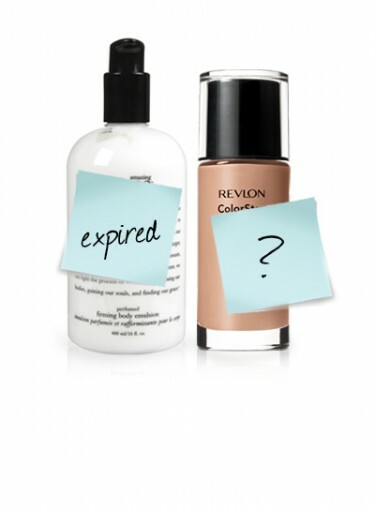 Click here to find out if your makeup is expired. As for the thrifty part of me — the person who won’t throw away concealer until I have squeezed every last ounce out of the tube — I also learned that holding onto products a little too long could cause major problems. I’m talking bacterial infections, major breakouts, and weird odors (yuck). So I guess it’s time to rethink my stance. To find out how often you should toss your mascara, why old makeup (especially eyeshadow) is so dangerous, or when your shampoo stops doing its job, keep reading. In the meantime, excuse me while I go clean out my medicine cabinet.